Are you finding it difficult to attract a new love into your life? 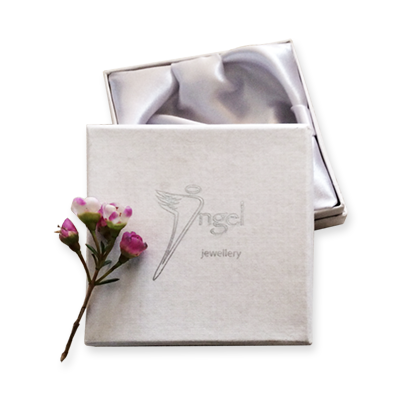 Having your very own heart healing jewellery made for you is a sacred and empowering gift to yourself, so I’m excited to offer you my bespoke Angel Jewellery service. Are you having difficulties in a current love relationship because you are carrying emotional wounds from the past? Are your love choices still being influenced by abandonment issues, fear of intimacy or an experience with a narcissist? If yes, then take a look at some of these suggestions to attract new and positive relationships into your life and to improve the ones you already have. 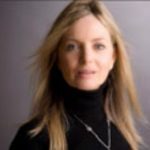 I offer a bespoke Angel Jewellery service and will make you a completely unique pendant to attract new love using crystals and symbols and my own healing intuition. My new collection of spiritual, silver and gold angel jewellery, along with the information available on the power of gemstones can help change your patterns of behaviour and mental condition. When you attract new love with crystals your old behaviours which were blocking the flow of real love into your life begin to change, gradually allowing your heart to open to new love safely and with confidence. Let me make you a Relationship Pendant, specially attuned to your own unique circumstances. A pendant that can magically help you let go of your old, dysfunctional mental and emotional programming and break repeating negative patterns of behaviour in relationships so that you can have more positive and joyful ones from now on. We will start with a 1 hour assessment of your particular needs and circumstances either on a call or Skype. Following that we will choose a significant combination of crystals, chosen uniquely for you and in alignment with your divine self, and for your highest good. We will need some rose quatrz for self- love and self-confidence, for we need to firmly believe how uniquely lovable and worthy we really are. Next we need some peridot, to help identify and let go of any old beliefs or behaviour patterns from our past which no longer serve us. And then some celestial moonstone to balance the emotions of the heart and draw in our true desires. Put these healing gemstones together with a ruby for loyalty, passion and sexual healing. 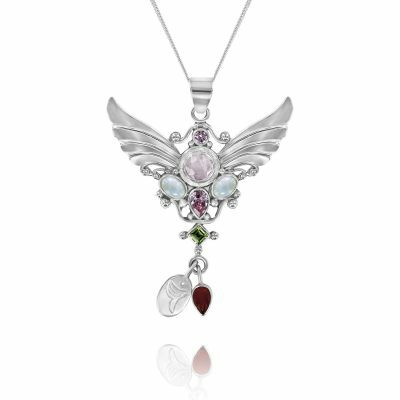 Add a sacred universal symbol, like the loving wings of spirit symbolizing eternal and infinite love, and you have a potent love amulet, which will awaken your divine self to attract and sustain the purest and most powerful energy we know, – Love. 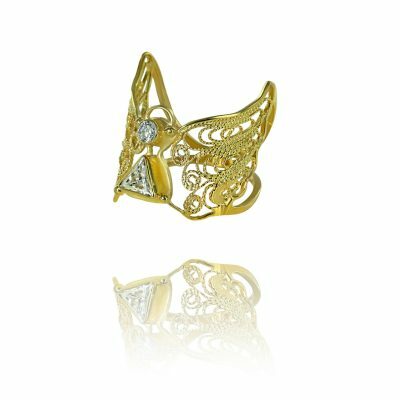 We will keep in contact during the making of your bespoke Relationship Pendant so that it resonates with you from the very beginning. Remember successful relationships are yours, and are part of the universal and divine intention for you and for all living beings. Ps. 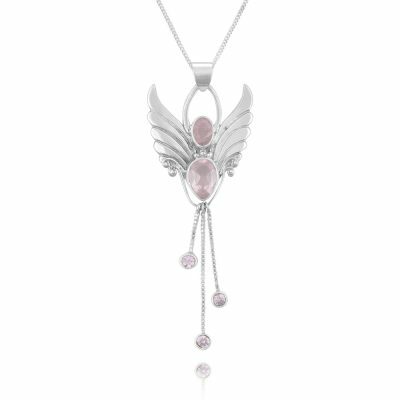 Learn more about Angels in the Angel Jewellery Blogs below. Crystal Angel Jewellery For Spiritual Connection, Health and Transformation. All my necklaces are made with the most beautiful natural crystals and they have already helped thousands and thousands of people from all walks of life all over the world connect more fully with their Angels. Many of the crystals are connection crystals and will help you to safely and confidently channel the Angel or Archangel you are working with for inspirational messages and healing. I explain all about the crystals I have used in each necklace and the ways they are most likely to benefit you. Each one has an energy that will empower you to develop your soul purpose and align with divine healing. Check out these Angel and Archangel necklaces, they are my most popular ones and are helping many people, as you will read in the testimonials. 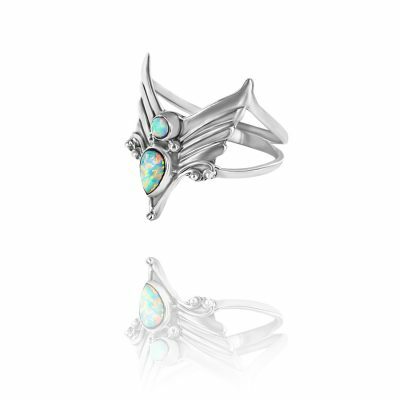 Angel Ring. 22ct Gold Filigree. We post worldwide, with a registered, tracked mailing service which can take between 5 - 10 days. Please contact me if you need expedited shipping. I want your visit to Angel Jewelry to be an altogether wonderful experience, so if there's anything I can help you with or you have any questions please don't hesitate to contact me. Subscribe to our mailing list and receive a 10% Discount off your purchase! Use code angels10 at checkout to get 10% off your purchase!